I was born in Wallingford in 1972 and now live on the edge of the Berkshire Downs. I trained as an illustrator at Falmouth School of Art in Cornwall and then worked as a graphic designer for over 16 years before becoming a professional painter. 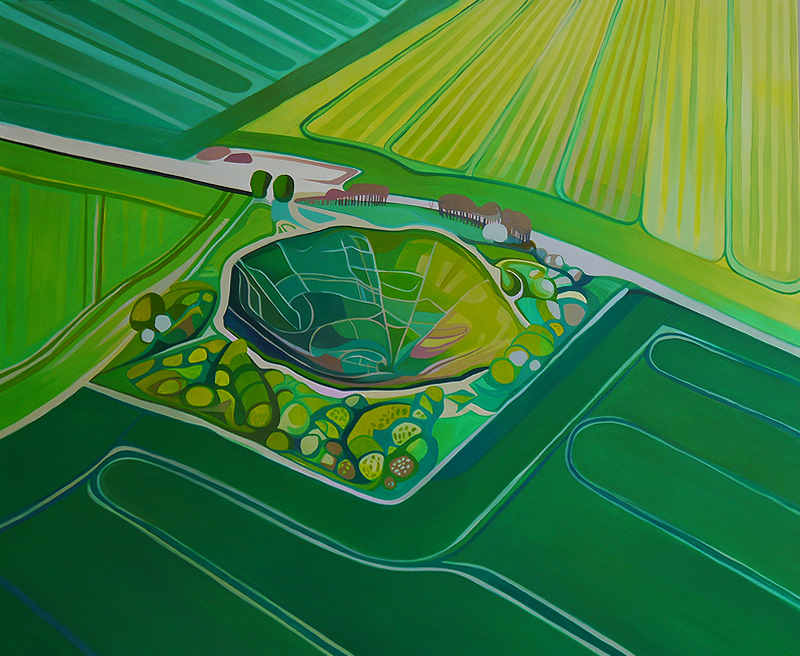 My paintings have deep roots in my life growing up in the countryside and highlight my passion for walking which is expressed in the undulating contours of my crafted topographies. 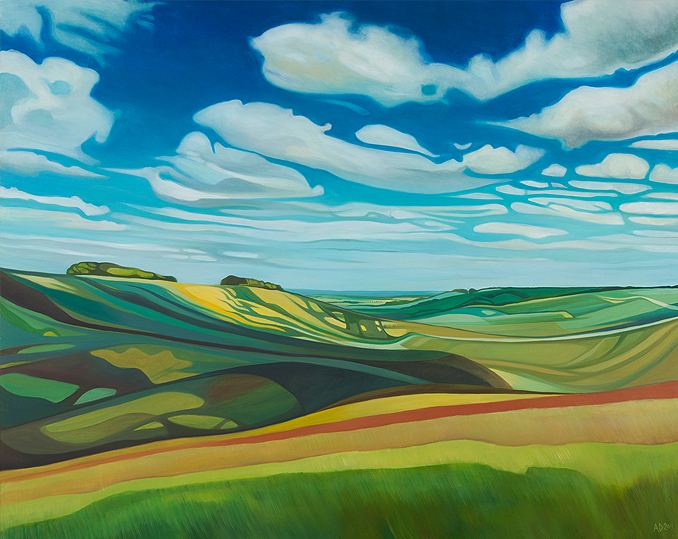 My paintings document the contours of ancient and natural landscapes such as the Uffington White Horse Hill and Wittenham Clumps in the South of England. I’m influenced by many of the 20th century British landscape painters from Paul and John Nash to Peter Lanyon. All copyright for paintings, copy & photos on this website belongs to Anna Dillon or the Imperial War Museum, unless otherwise specified.